I made a baby card following the sketch. The stork and baby are from the New Arrival cartridge. The scalloped ovals are Spellbinder dies, except for the small one which is a Fiskars punch. 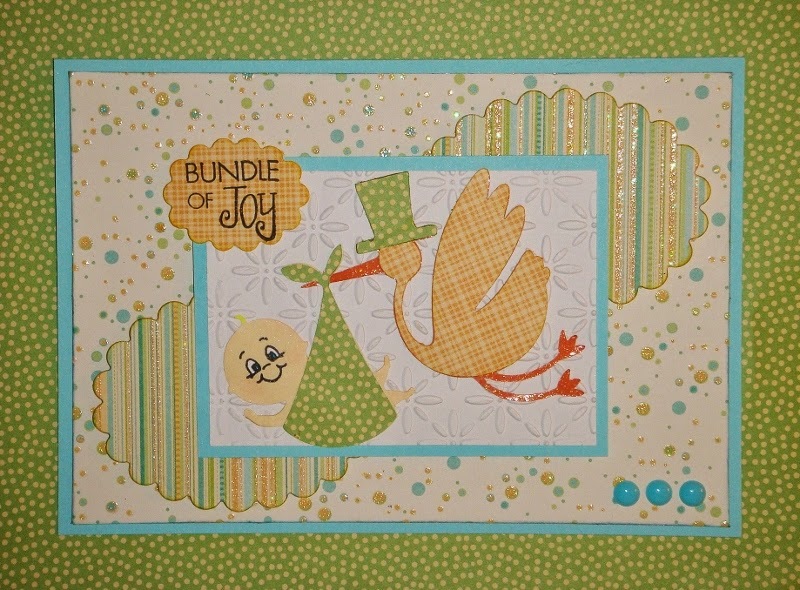 All the patterned cardstock is from DCWV Nana's Nursery, Baby Boy. Here's the sketch, which I turned horizontally to make my card, created by our Diva Host, Georgiana. I popped up all the large cuts on the front of the card for depth. 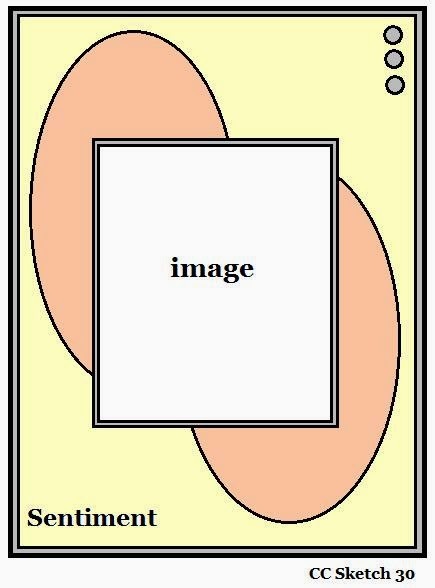 Why don't you join in the challenge this week, and make a card, layout, or project following the sketch provided above. 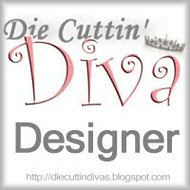 Be sure to use a die cut somewhere in your creation and link your post back to Die Cuttin' Divas. 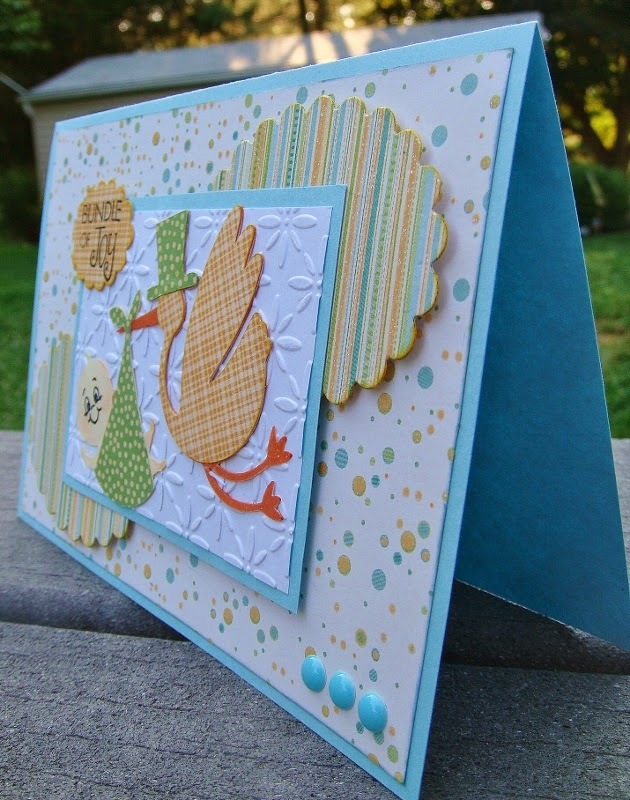 Aaaah, what a cute baby card. The patterns blend so nicely and that baby smile is contagious! Just gorgeous. I love that DCWV pack. Great take on the sketch. 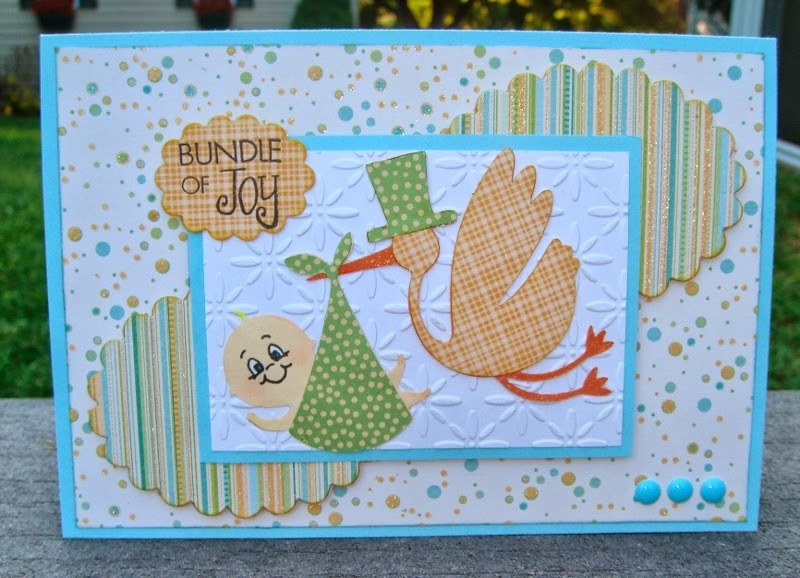 Love that baby card, those images are so sweet!